The False Claims Act allows private individuals (referred to as “relators”) to file a whistleblower lawsuit against businesses, individuals, agencies, and other entities that the relator alleges have defrauded the federal government. 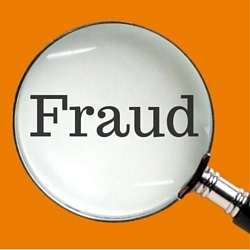 The nature of the fraud can be direct or indirect, but the relator must have evidence that the fraud is being committed knowingly by the accused party or parties. The federal government can, and does, file its own False Claims Act lawsuits, but the full impact of the statute has come to be seen in whistleblower cases. The first step in a whistleblower case. When filing a case under the False Claims Act, whistleblowers must first file in a United States District Court (not a local or municipal court), where their case will remain private (be placed “under seal”) while the government investigates the whistleblower’s complaint. to support their allegations to the Attorney General of the United States and the local United States Attorney. While the government investigates the allegations, the Complaint remains under seal for at least 60 days. This means that during this preliminary investigation, neither the presumptive defendants nor the public can see that a case has been filed. This window gives the whistleblower protection from immediate retaliatory action by an employer or any of the accused in the Complaint until the government decided on the validity of the case. The period of remaining “under seal” can (and often is) extended, for weeks, months, and even years while the investigation moves along. The government may, or may not pursue a complaint under the False Claims Act. Once the investigation is complete the government will notify the whistleblower (and their attorney, if they have one) of its decision to become formally involved (or join) the case, or not. If the government declines to join, the whistleblower may continue to litigate the case on their own, acting on behalf of the government. However, if the government decides to become involved, it will then take the lead role in litigating the case against the defendant(s). Whistleblowers involved in a case brought under the False Claims Act in which the government has assumed the lead should not assume they no longer need the protections of a whistleblower attorney. Filing a case under the False Claims Act is a complex business. Many provisions in the law are dense, complex, and difficult for a layman to understand. Misinterpreting the language or making a mistake in procedure can cost a whistleblower their case – and any reward they may be eligible for in the event they win their case. Whistleblowers in Utah or elsewhere should always seek the help of an experienced whistleblower attorney to ensure that their claim is properly filed and litigated and that they don’t lose their whistleblower rights. A competent firm of whistleblower attorneys won’t be afraid to review your case without charge and to let you know what your options are. Our attorneys have substantial experience in litigation under the False Claims Act and in protecting whistleblower’s rights. If you’d like to have us review your case, you can call the Utah Whistleblower Hotline 24-hours a day at (801) 323-5000.